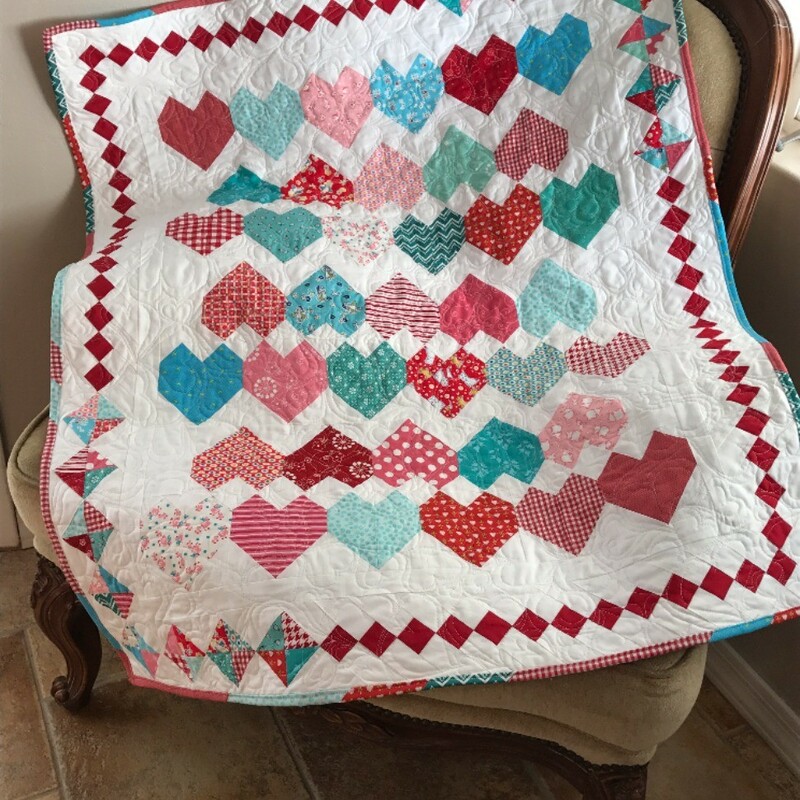 I made this two sided baby quilt from start to finish. The scrappy binding and free motion quilting are a little rough but improved from my last attempt. I used a zigzag heart pattern and added the diamond border.